The Agave ‘Blue Glow’ is one of our favorites here at Orange County Succulents. The clean, architectural lines create a beautiful, symmetric rosette. This particular specimen is the biggest we’ve ever had and one of the best examples we’ve ever seen. 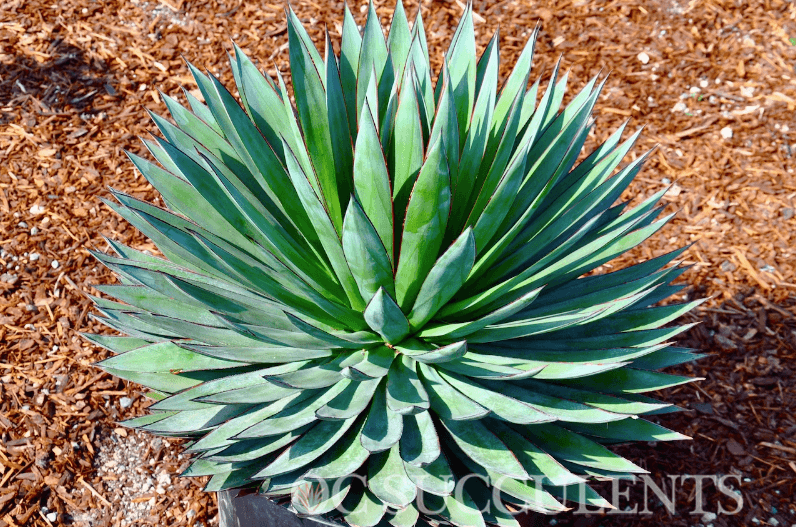 ‘Blue Glow’ is a a slow growing agave and will not get much larger than 3 feet across. The smaller, boutique agaves are much easier to forecast in a garden and can be used more regularly without needing an excess amount of space, such as the Americana, which will reach over 6′ wide.